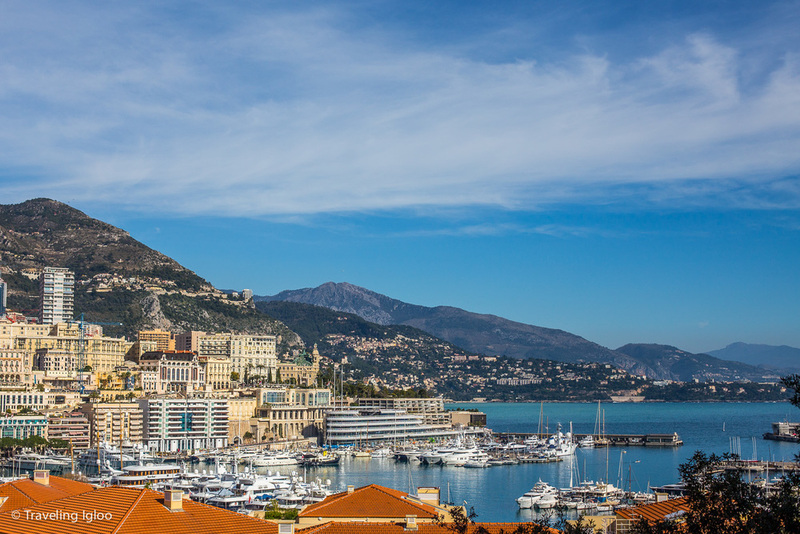 Monaco is a city...ahem, I mean country...that lives up to the hype. When we first got off the train this was immediately apparent with the incredibly clean and modern station. We walked outside after going up the elevators to leave the underground train maze, and found ourselves at a busy street. We decided to go right which led steep down the hill toward the beach. Had we gone left, I think we might've found Monte Carlo quicker, but don't worry we made our way there eventually. Did you know? 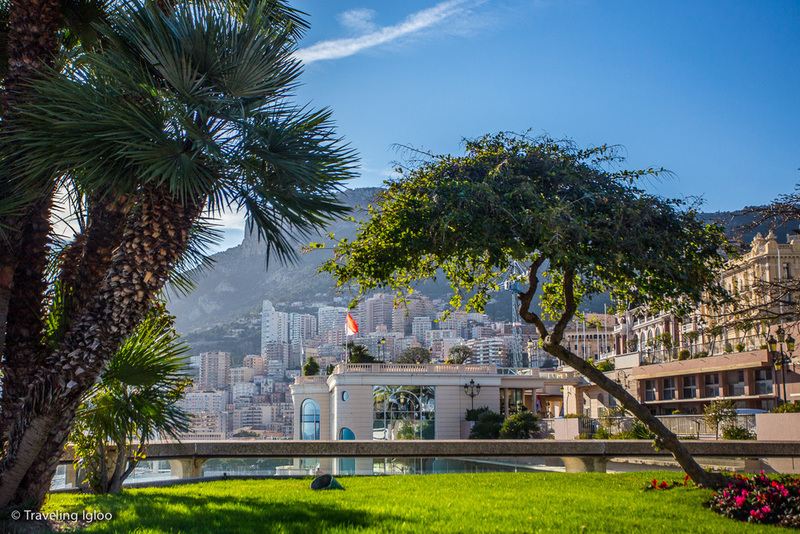 : Monaco is the second smallest country in the world next to Vatican City. We passed by many boutique shops, patisseries (yum!) and found ourselves eventually at the bottom of the steps of the castle that was sitting above. Up and up we walked and the views kept getting better and better! I'm a sucker for a beautiful landscape/cityscape and I think I could've sat up there all day if I had the time to do so. Once at the top there was a hop on/hop off bus. Sixteen Euro later (a piece) and on we hopped for the tour around the city. I always recommend doing this as it's usually cheap and the easiest way to see the highlights of a city. In fact, if you're new to a city and aren't sure what to see and do, then get on one of these buses the first day so you can see everything and also what you may want to come back to again. Below: This was our immediate view when we walked out of the train station. Not a bad start to the day! This was what lay ahead after we made our way down the cliffside roads. So, we decided to head up and check it out! As you can see the steps weren't bad at all, and the views were stunning once you reached the top. I'm so glad it was a sunny day when we went. After we got on the hop on/hop off bus we made our way around the coastline and passed the harbor. We stopped for lunch and a drink, since after all we were on vacation and having a beer for lunch is perfectly acceptable. Who am I kidding that's the typical German lunch break! 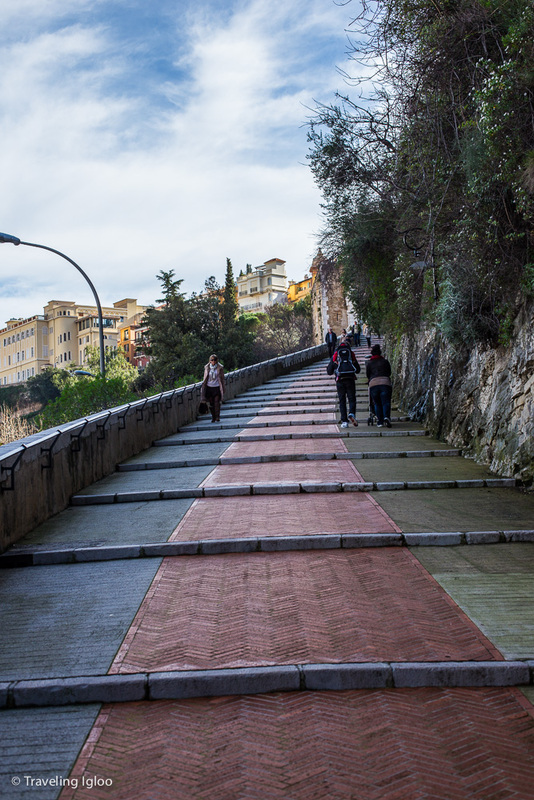 Then we jumped back on the next bus and kept going until we made our way up the hill to Monte Carlo. 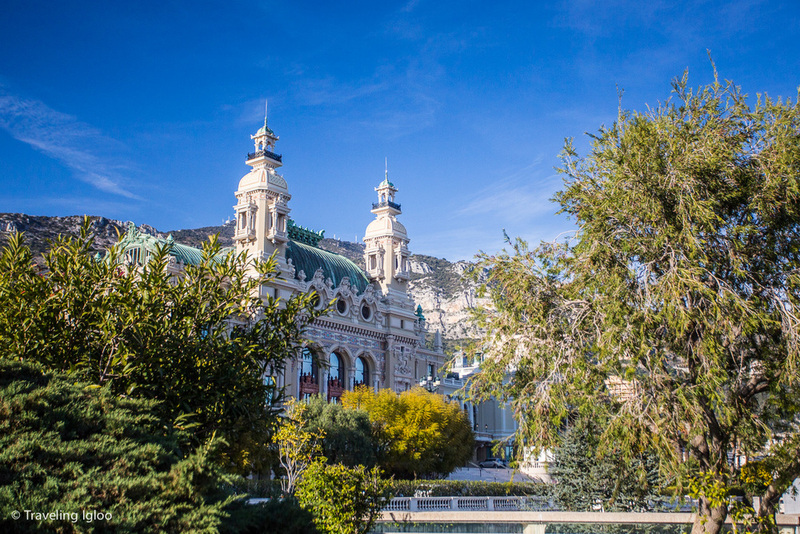 Until visiting I didn't realize that Monte Carlo meant more than the casino; it's actually an entire district. I knew this city had money but wow, the cars that you'd see here, the yachts, and the people walking around makes you perpetually wonder how these people are that rich. Among them I definitely felt like a peasant, that's for sure! 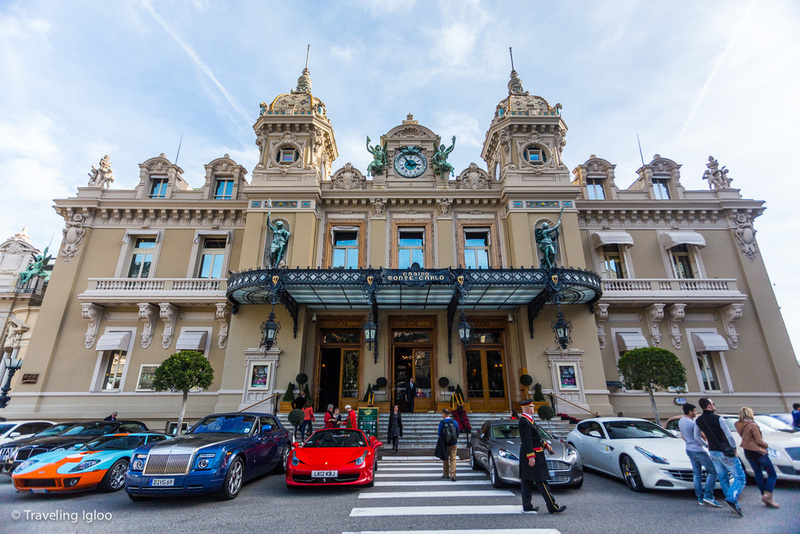 Unfortunately they have a very strict no photo policy inside the Monte Carlo. When we walked in there were security guards showing us where to stow our bags. I hesitantly left my camera with the coat check but I figured at the Monte Carlo it must be at least somewhat secure and thankfully it was. 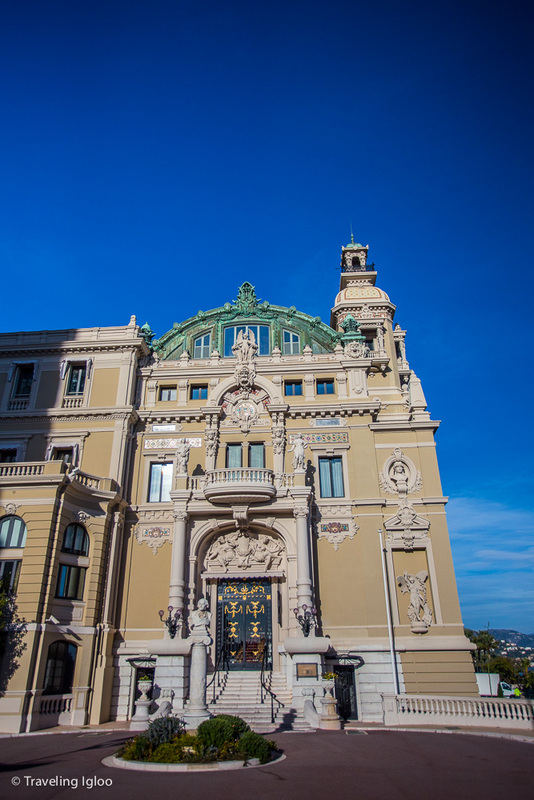 The inside was very elegant and everything was beautifully decorated, and is a must see if you happen to be in Monaco! We even had a martini just for the novelty of it. Did I mention it was `14 Euro?! Afterward I wanted to get a few more shots from the vantage point at the castle so we took the bus back up. The sun was also in a better position too. 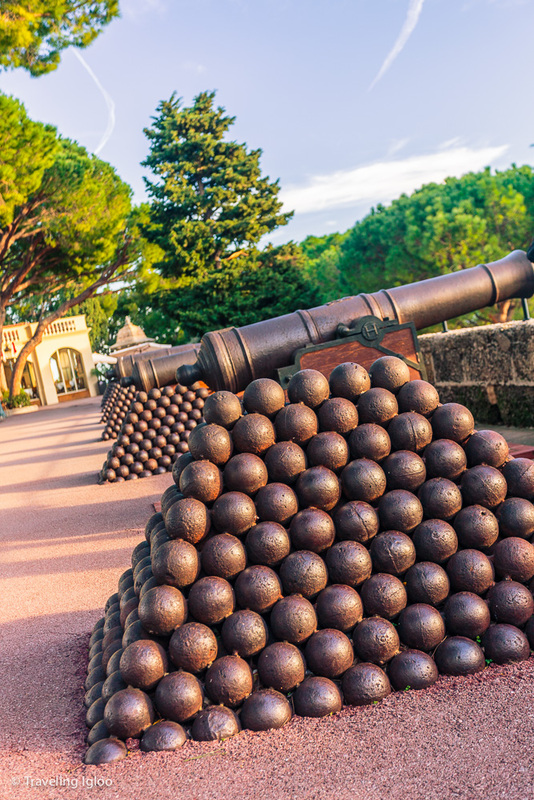 Up here there are cannons everywhere. There are also some really interesting winding streets with tourist shops, restaurants and cafes. 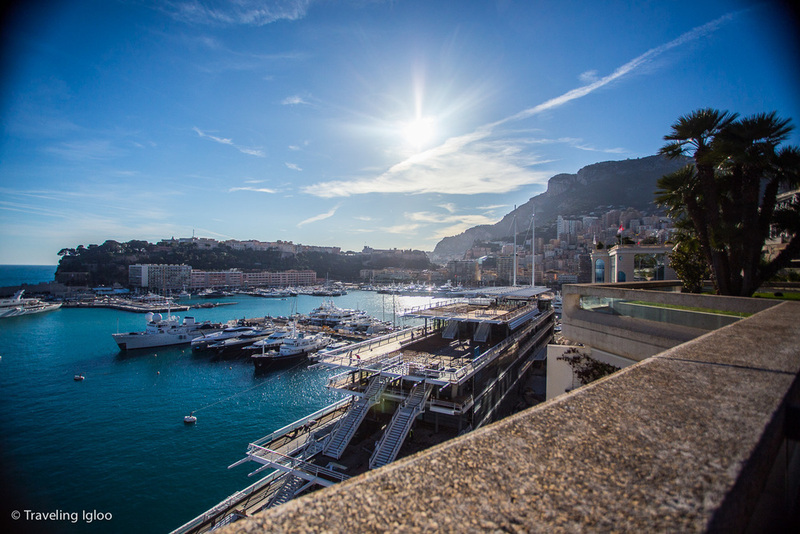 Monaco was a nice day trip. We were able to see everything that we wanted to in about 6 hours, including us stopping in to shops, grabbing lunch, etc. 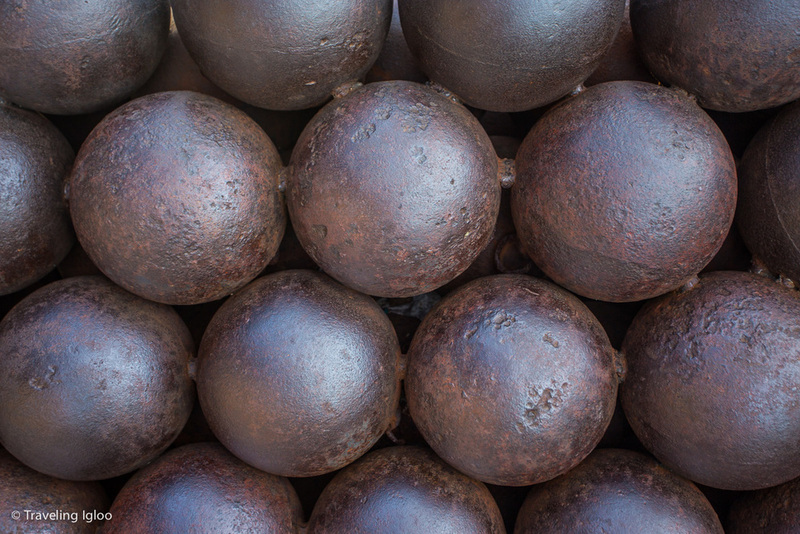 ( basically all the normal things that happen on a girls trip!). 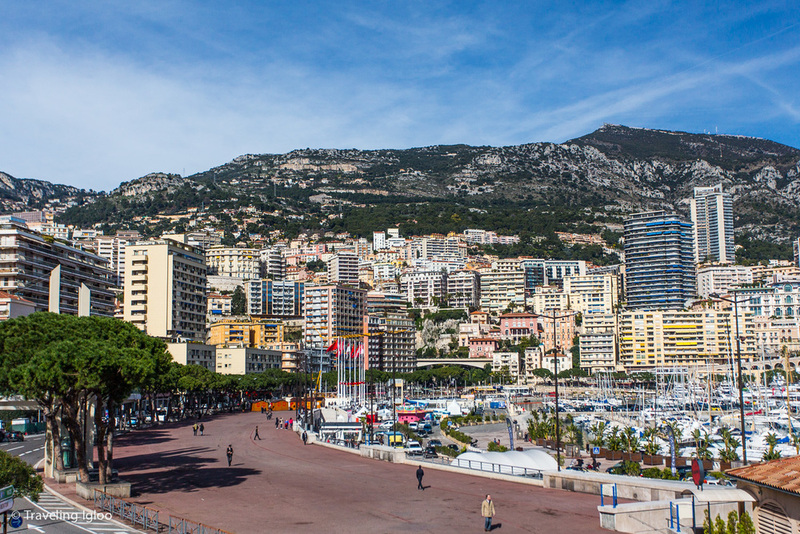 From Nice, Monaco is only a short train ride of about 25 minutes. The trains look as if they were beautiful at one time, but age and graffiti and lack of maintenance has affected them quite a bit. We just walked up to the counter in Nice and purchased our round trip tickets. I think they were about 15 Euro per person. 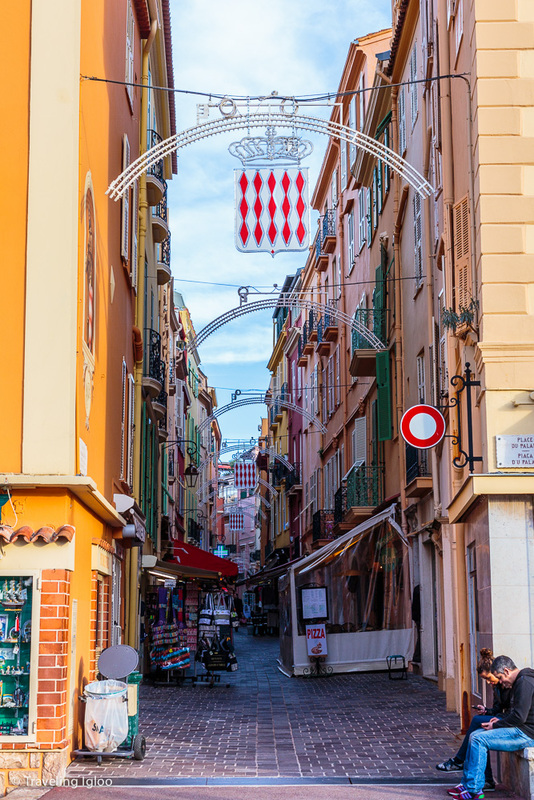 If you're trying to decide where to stay, I think Nice had a better feel, the beaches were more easily accessible, and it was cheaper than Monaco too. For being so close I would choose Nice again. 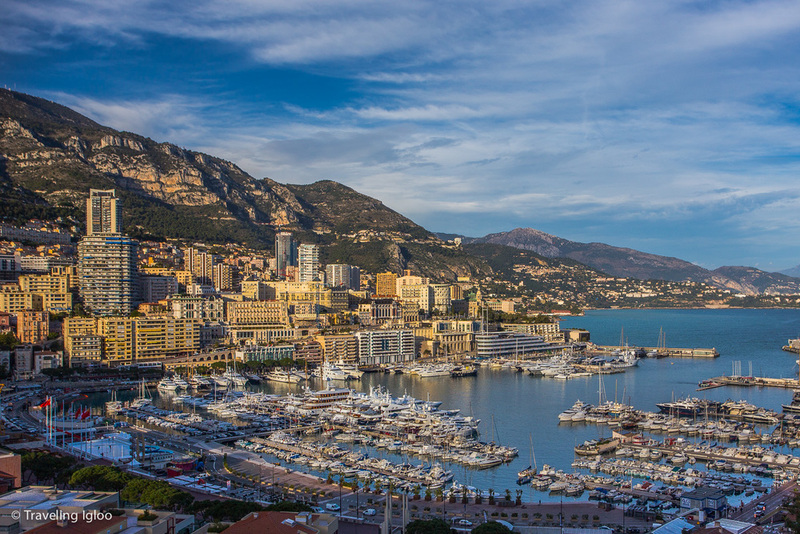 So for now, au revoir Monaco, I will miss you!